If you’re looking for a compact mobile storage system for your office workplace, the Brownbuilt Maxtor is an excellent choice..Adco Office Furniture can ensure the Brownbuilt Maxtor meets all your storage and space requirements. 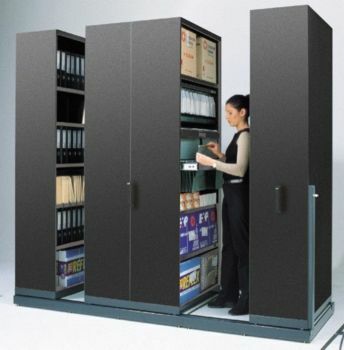 The Brownbuilt Maxtor offered by Adco Office Furniture is sure to maximise your storage capabilities, helping you to improve your sense of organisation and reduce your long-term operational costs. Adco Office Furniture is proud to offer Brownbuilt Maxtor storage solutions that are second to none. Contact us today to learn more, discuss your requirements or place an order. These Mobile office Storage systems come in a variety of configurations. One of these systems can reduce your storage needs space by up to 50% and decrease your floor rental cost for storage.